The first ever ranking tournament staged in Oz started today! Some unexpected results are produced today and here he is - Judd Trump lost to Mark Davis by 3-5. Runner-up of World Championship did not enjoy the match! The 21-year-old runner up of World Championship had a bad opening in his first round match. Having his opponent Mark Davis took the first three with 84, 91 in 45 minutes, Trump finally pull one back with 52, 89 to trail 3-2. I am not surprised with Trump's defeat. He had crazy holidays during the season break and seldom getting practices. 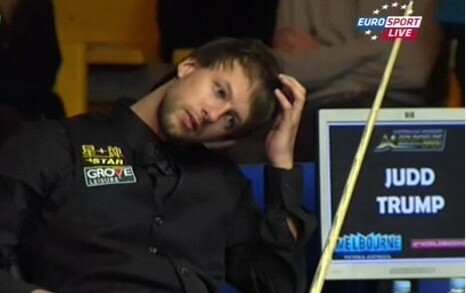 He has lost his first match in the new season, get beaten by David Gilbert on PTC1 in Round 1. Trump needs to get away from his luxury life and face the reality! Don't want him to be a flash in the pan. 'The Magician' Shaun Murphy safely through to the Last 16. Murphy was 3-1 up before mid session kicked off. Andrew Higginson showed his effort by trailing 4-3 but it did not blcok the Magician to win 5-3. 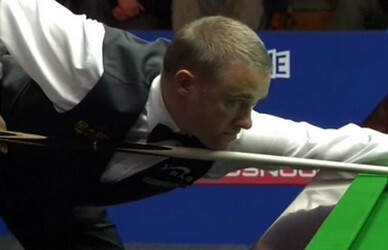 The six-time World Champion Stephen Hendry enjoyed a great start in the new season. Hendry once held 2-0 and 3-2 lead over Martin Gould but Gould all levelled. He made a branch with 120 to lead 4-3, along with 59 to secure his 5-3 victory. The Scot may face his countryman in the next round, the current World Champion John Higgins but he will be glad to gain some ranking points in Oz. Another seed Jamie Cope is beaten by Tom Ford while Q School Winner David Gilbert won 5-1 over Australian James Misfud. 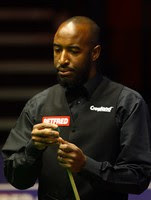 Rory McLeod rocked his way to win over Peter Ebdon by 5-3 although he was 0-3 down early in the match. McLeod took 5 in a row to continue his journey in Australia. McLeod will face Shaun Murphy tomorrow in the Last 16. Four-time World Champion John Higgins, Local's favourite Neil Robertson and more top players will play their first match in Bendigo tomorrow.